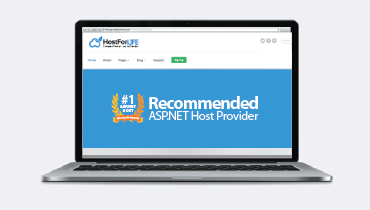 HostForLIFE is Microsoft No #1 Recommended Windows and ASP.NET Core 2.1 Hosting in European Continent. All of our servers are wind powered. 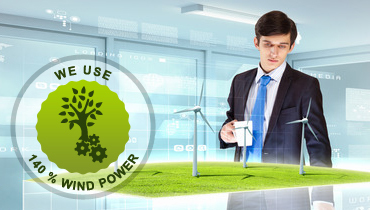 We've invested in Wind Energy to help offset server emissions. We proudly announce that we are the leader in ASP.NET Core 2.1 Hosting Technology. We have provided a wide-range of ASP.NET service, starting from the Classic ASP, ASP.NET1.1 Hosting, ASP.NET 2 Hosting, ASP.NET 3.5 Hosting, ASP.NET 4 Hosting, ASP.NET 4.5 Hosting, ASP.NET 4.5.1 Hosting, ASP.NET 4.5.2 Hosting, ASP.NET 4.6 Hosting, ASP.NET Core 2.0 Hosting and the latest ASP.NET Core 2.1 Hosting. Using industry-standard web environments with the latest stable technologies like Server 2012, Internet Information Services 8, MSSQL 2012, MSSQL 2014, MSSQL 2016, MSSQL 2017, ASP.NET 3.5 SP1, ASP.NET 4, ASP.NET 4.5.1, ASP.NET 4.5.2, ASP.NET 4.6, ASP.NET 4.7.1 and ASP.NET Core 2.1 Hosting. Using powerful Dell servers that are beefy enough to service the requirements of our customers. Our servers use 64 bit software, are dual quad-core, have at least 16 GB RAM, and have RAID 10 disk arrays. We don't skimp on our servers because we believe you deserve better. Unlike other hosts, we do not force you to register for our long term contract. You can choose between our 4 hosting cycles, i.e. Quarterly, Half-Yearly, Yearly and Two/Three-Yearly Cycle. We want you to can get your web presence up and running without a huge upfront investment. Certainly, if you register for our long-term hosting plan, we will reward you fairly and appropriately.